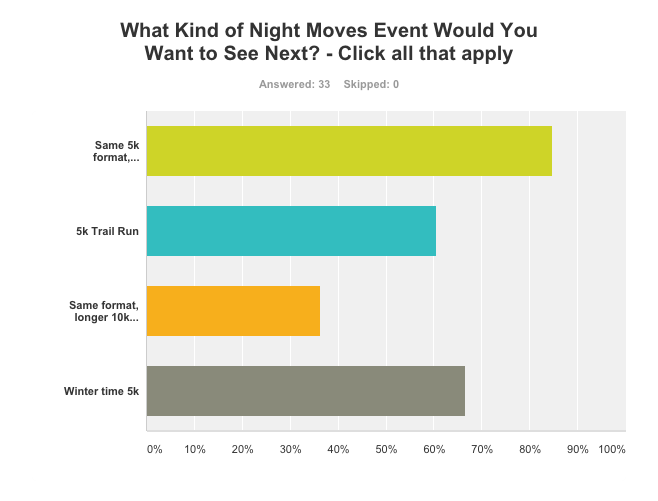 Our inaugural Night Moves Running Series was an overwhelming success. We knew we had a good idea, but ideas are only as good as your ability to pull them off and as in your ability to attract folks to participate. In an effort to hear from our athletes, we sent out a brief survey to learn more about what they liked, what they would like to see done better, and what kind of future events they'd like to see. The feedback was great and just what we needed to form our plans for the fall. As of right now, we're considering two more events and in the planning stage for those. More info on those coming soon. 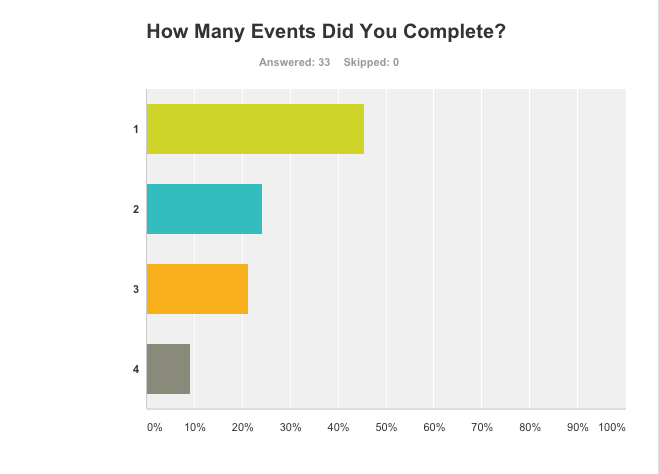 Survey Form Responses - What Was Your Favorite Part? I liked that it was a night. This made it completely different from any other run. I also liked that it felt rogue and not completely sanctioned. Running at night, the courses, and having to be "in the know" to get in on the event. All of it. Great locations, nice swag, awesome people and worthy cause! More of my running friends came out with every run. I was a volunteer, I love seeing the diversity of participants as well as other volunteers. I liked how relaxed it was. The run was about running. The event was about Neighborlink. The people were all great! The socializing after the event. Good group of people meeting each other at a cool spot engaging in great conversation while hot and sweaty from running. 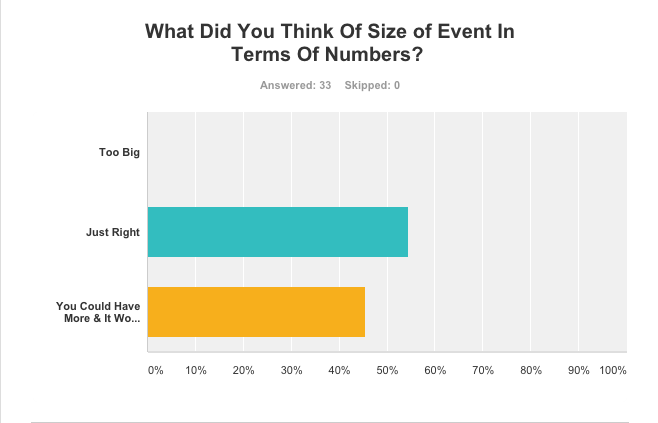 Survey Form Responses - If You Could Change One Thing About The Event, What Would That Be? #2 has Jimmy John's. #4 had just snacks. I could have really used sandwiches at #4 after that heat. Also, I felt that with the cost and the amount of people, $2000 wasn't a lot raised. Maybe less giveaways and more $ to the organization? I would add an "athletic supporter" walk ?. My husband would walk a shorter distance and although it was implied that you could cut the course short if necessary, that can be tricky at night in an unfamiliar and sort of unmarked location. Unfortunately, it might take more volunteers, too, because the cyclist course volunteers were an appreciated and integral part of the run. More bikers with the runners. Each running pack needs a lead out. It was so dark and difficult to see the painted directions. Or paint the directions in glo-in-the-dark. Maybe handing out a reflective sticker (or something) that one could put on their back so cars see us and so that we can recognize racers and follow easier.